Although the scope of work and the set of responsibilities of a paralegal and a lawyer are closely interrelated, they are completely distinct in a number of ways. This article provides information on the differences between the two. A paralegal is an individual who is trained in handling legal matters but is not a qualified and a full-fledged lawyer. Paralegals are employed by a lawyer, a law firm, a corporation, or a government agency. They are qualified by education, training, and work experience, and they perform substantive legal work in aid of the lawyer or firm that hired them. A paralegal performs tasks delegated by a lawyer. Under the Conduit Theory, the lawyer is held accountable for the actions of his/her paralegal. Payment to paralegals depends on who hires them, and their professional rate is usually lower than the rate of lawyers. On the other hand, a lawyer is generally a legal service provider who is licensed in handling legal matters independently. The scope of work of lawyers includes providing legal advice, signing court documents, and appearing in court as counsel for their client. The educational requirement for lawyers varies greatly depending on their country. Lawyers in private practices impose an hourly rate, along with a contingency fee if the case involves personal injury and a lump sum payment if the matter is straightforward. The terms used to refer to lawyer vary in every country. They are sometimes called a barrister, an attorney, an advocate, a counselor, or a chartered legal executive. 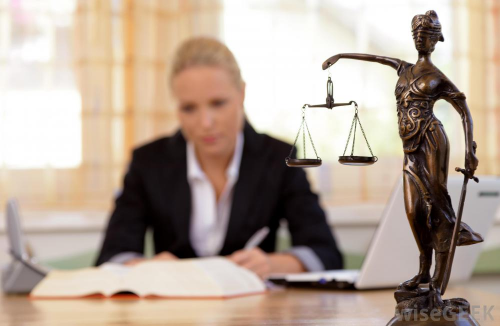 So what’s the difference between a paralegal and a lawyer? One of the differences between a paralegal and a lawyer is that the former is only trained to practice the legal profession while the latter is licensed to do so. Also, as opposed to lawyers that can practice even without the aid of a paralegal, paralegals cannot practice on their own. Paralegals can only perform tasks delegated by a lawyer. By authorizing the paralegal, the lawyer is holding himself/herself accountable for the paralegal’s work. Payment for the two varies greatly. Paralegals are not allowed to set hourly rates while lawyers are licensed to do so. Paralegals are paid much less than lawyers. Finally, the biggest difference is that paralegals are not licensed to practice the legal profession while lawyers are. Paralegals are just graduates of an associate or bachelors law degree, while lawyers passed the qualifying exam, which is also referred to as bar exam in different countries.